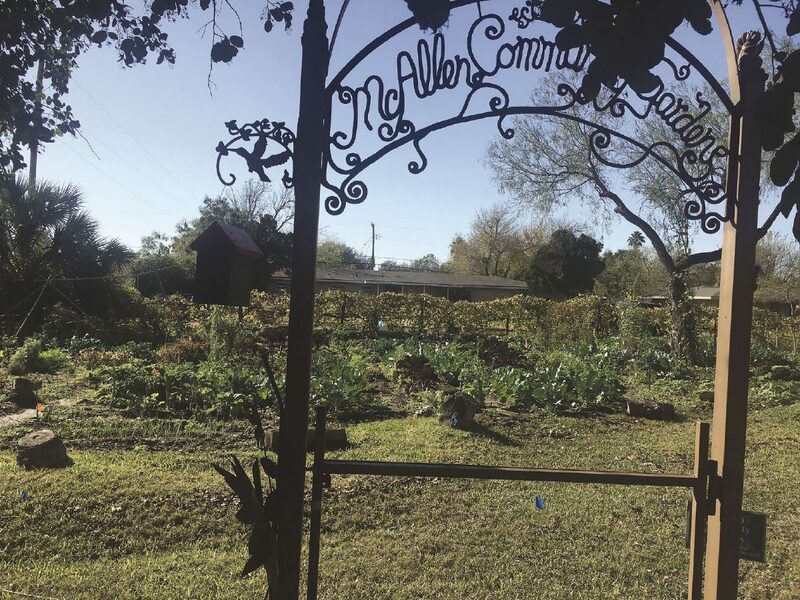 The McAllen Community Garden is seen on Jan. 10, 2018, two days after the McAllen City Commission agreed to renovate an adjacent fire station without demolishing the garden. Pleasing the public is no easy task. But no matter how difficult, the decisions that our leaders make on our behalf ultimately must be in the best interest and safety of the citizens. Therefore we recognize and appreciate the tough position that McAllen City Commissioners and McAllen City Manager Roel “Roy” Rodriguez were put in recently regarding plans to renovate and substantially expand the city’s oldest fire station, which could have meant the demolition of a beloved community garden. We commend them for coming up with an admirable compromise earlier this month (and doing so relatively quickly by bureaucratic-time standards,) which will allow the garden to stay and the fire station to be somewhat upgraded. There’s no doubt that Fire Station No. 2, located at North Main Street and Harvey Avenue, is in dire need of renovation. Failing to do so will jeopardize the safety of nearby residents who depend on that station in cases of emergency. But adjacent to that station is the McAllen Community Garden, which in the past 12 years has become a blooming oasis full of rows of tomatoes, broccoli, peppers, cabbage and other vegetables, as well as bird feeders that attract all types of feathered friends, butterflies, and life, in general. 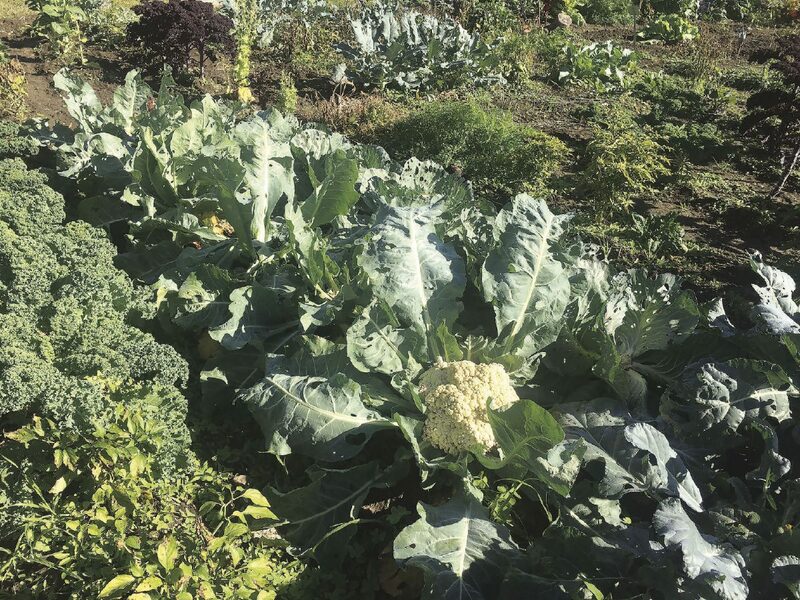 A row of thriving cauliflower plants are shown at the McAllen Community Garden on Jan. 10, 2018. The garden is located at North Main Street and Harvey Avenue. It has allowed citizens a free place to plant vegetables and crops for the past 12 years. Demolishing the garden would be a significant loss to the community that it feeds and which cherishes it. It would destroy a unique gathering and working place where citizens can come together and dig into the soil side by side and feel part of a magnificent plot of land that produces such bounty and gives many people much joy. So when City Manager Rodriguez during a Jan. 8 City Commission workshop announced — and got commissioners to support — revised smaller renovation plans for the fire house that will enable it to fit on the property without disturbing the garden, it should be viewed by all as a big win for both sides. “The community garden will be impacted minimally if the City Commission wants to keep that and we will have a functioning fire station,” Rodriguez told commissioners at the start of the 30 minute discussion. But there will be some concessions made on both sides. The parking lot, which has 11 spaces now, will be reduced to four, meaning gardeners will have to park elsewhere and walk to their plots. And the renovation plans for the fire station will decrease by 700 square feet, so that none of the garden is disturbed. However the bordering grass area and shed facility will be taken up, and the sprinkler system will have to be moved, Rodriguez said. None of the established trees will be affected, which was a concern by gardeners, but in keeping to this smaller area, fire fighters will be forced to continue to back in the big fire trucks, which is not recommended by the U.S. Federal Emergency Management Agency. Rodriguez told us that part of the need for renovating Fire Station No. 2, which was built over 50 years ago, is because rigs today are much bulkier and the current station makes for a tight squeeze when firefighters park the trucks. Commissioners, however, rightly nixed that idea due to high costs, which the city cannot afford right as city revenue has been less than expected. We respect that Chief Balderas is looking out for his fire fighters and thank him for the long-term advice. We recognize the approved new renovations aren’t all that fire fighters wanted (although they will get an indoor workout facility and not have to exercise outdoors anymore,) but it is financially feasible at this time and will allow the community garden to remain.